On DVD and Blu-ray release today is one of Carey Mulligan's two 2011 films, Drive, which she co-starred with Ryan Gosling, Bryan Cranston, Albert Brooks, Oscar Issac, Ron Perlman, and Christina Hendricks. Sony Pictures Home Entertainment has announced DVD and Blu-ray releases of Drive which stars Ryan Gosling, Carey Mulligan, and Bryan Cranston. Each will be available to own from January 31st. The only extra material will be featurettes ("Drive Without A Driver: Entretien Avec Nicolas Winding Refn", "I Drive", "Under The Hood", "Driver and Irene", "Cut To The Chase"). 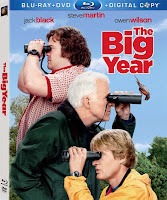 On DVD and Blu-ray release today is The Big Year, one of Rosamund Pike's 4 films in 2011 (Barney's Version, Burning Palms, The Big Year, and Johnny English Reborn). On TV Tonight: Watch Episode 4 of Downton Abbey on PBS Masterpiece Classic! Tonight, watch episode 4 of Season 2 from 5-time Emmy Award winner and Golden Globe winnerDownton Abbey (Penelope Wiltonco-stars) on PBS Masterpiece Classic. Devastating news from the front rocks the very foundations of Downton Abbey, and it is up to the Dowager Countess to buck bureaucratic protocol and bring Downton's men home. In an unwelcome return, Vera Bates threatens to make public the scandalous story of Lady Mary's ill-fated indiscretion. Desperate to contain the story, Mary appeals to the savvy opportunist Sir Richard Carlisle. Read full Synopsis. 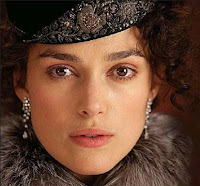 A first look and photo of Keira Knightleyin her title character Anna Karenina costume has been floating around the net and also recent articles and scans from UK'sDaily Mail and Empire Magazine has featured new articles about new film Joe Wright's Anna Karenina starring former Pride & Prejudice stars Keira Knightley and Matthew Macfadyen along with Jude Law, Aaron Johnson, Olivia Williams, Kelly Macdonald, Emily Watson, and Downton Abbey's Michelle Dockery. The film is scheduled for a UK Cinema release on September 7th! No U.S. theatrical release date yet, but hopefully, will find out soon as more news and info. on this film is released. Scroll down this post for an update on AK cast as well as scans of Keira as Anna below. No photo of Matthew as Oblonsky yet, but will keep you updated and posted here as soon as it's available. 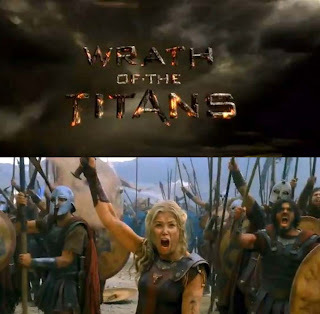 Warner Bros. has released two new TV spots for Rosamund Pike's upcoming film, Wrath of the Titans. The first spot features two new never before seen clips of Rosamund as Andromeda. The second one is almost similar to the trailer, but the shorten version. Wrath of the Titans starring Sam Worthington, Rosamund Pike, Liam Neeson, Ralph Fiennes, Bill Nighy, Toby Kebbell, and Edgar Ramirez. Experience it in IMAX 3DMarch 30th! According to What's On Stage, Rupert Friend will star in a new stage production play Brimstone and Treacle. Rupert Friend returns to the stage following his 2010 West End debut in The Little Dog Laughed to play Martin Taylor. His film work includes Five Days of War, Lullaby for Pi, The Kid, Chéri, The Young Victoria, The Boy in Striped Pyjamas, Pride and Prejudiceand The Libertine. Read full article here! 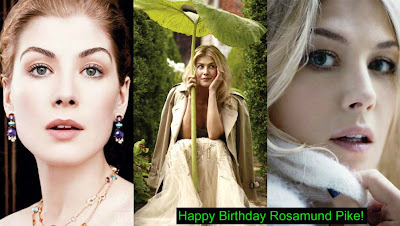 Today (January 27th) is Rosamund Pike's 33rd Birthday. 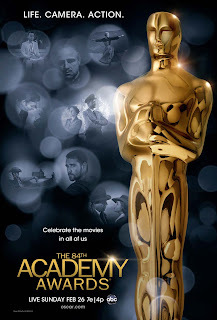 The nominations for the 84th Annual Academy Awards was just announced more than 2 hours ago this morning. Lots of snubs here and there and none of our P&P actors are nominated, but a few of their co-stars and films have been nominated in the following categories below. 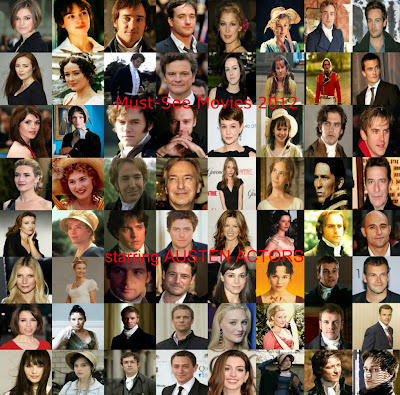 But first, the 84th Academy Awards will be presented by Billy Crystal on February 26th on ABC. 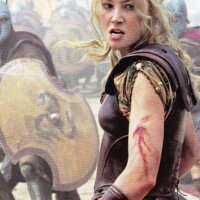 The latest issue of Empire Magazine has some new images from Rosamund Pike's new film, Wrath of the Titans (sequel to Clash of the Titans), which opens in theaters March 30th and it featured a couple images of Rosamund as the warrior Queen Andromeda. The first trailer, as previously posted here, for the film features a glimpse of Rosamund Pike as Andromeda in action with co-star Sam Worthington's Perseus. Carey Mulligan attended the London Film Critics' Circle Awards 2012 at The BFI Southbank on January 19, 2012 in London, England. Carey was nominated, but unfortunately, did not win the award she was nominated for, but her Shame co-star Michael Fassbender did take home the British Actor of the Year award for Shame and A Dangerous Method. Peter Wight, aka Pride & Prejudice's own Mr. Gardiner (who also appeared inAtonement with P&P co-stars Keira Knightleyand Brenda Blethyn)is one of stars of the new, upcoming four-part TV mini-seriesTitanic (2012), which was written by Oscar and Emmy Award winner Julian Fellowes (Gosford Park, Downton Abbey, The Young Victoria). ThisTitanic period drama is one of 3 movies coming out of its 100th anniversary this year (including the threatrical re-release in 3D of James Cameron's mega blockbuster hit, the 1997's Titanic starring Leonardo DiCaprio and Kate Winslet on April 6th) and will air on April 12th on TV around the world to coincide with the 100th anniversary of the disaster. 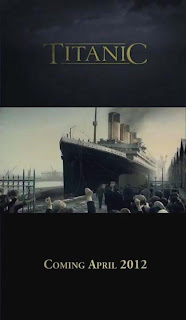 Check out and watch the trailer for this Titanic (TV mini-series) version below! 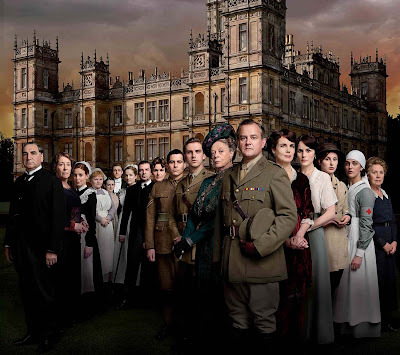 On TV Tonight: Watch Episode 3 of Downton Abbey on PBS Masterpiece Classic! Tonight, watch episode 3 of Season 2 from 5-time Emmy Award winner and Golden Globe winnerDownton Abbey (Penelope Wiltonco-stars) on PBS Masterpiece Classic. Mary's new alliance has aroused Violet's interest in matters of suitability and love. With Sybil in mind, the Dowager Countess declares, "war breaks down barriers and when peacetime re-erects them, it's very easy to find oneself on the wrong side." 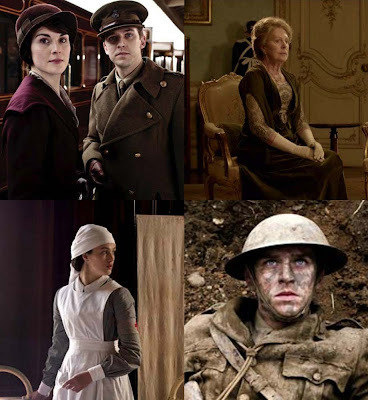 Indeed, among war's greatest casualties at Downton are the prescribed roles and class boundaries. Read full Synopsis. Rosamund Pike attended the IWC Schaffhausen Top Gun Gala Event during the 22nd SIHH High Jewellery Fair at the Palexpo Exhibition Hall on January 17, 2012 in Geneva, Switzerland. At the event, Rosamund posed for photos with fellow actor Ewan McGregor, model Adriana Lima, singer Ronan Keating, and IWC Schaffhausen CEO George Kern. The 2012 BAFTA Nominations has been announced Tuesday and Tinker Tailor Soldier Spy (Colin Firth and Ciaran Hinds co-star) garnered 11 Nominations, My Week With Marilyn (Judi Dench, Peter Wight, and Pip Torrens co-star) with 6 including a Best Supporting Actress for Judi Dench), War Horse (P&P's Pip Torrens co-stars) with 5, Drive (Carey Mulligan co-stars) with 4 (including a Best Supporting Actress for Carey Mulligan), Shame (Carey Mulligan co-stars) with 2 (including Leading Actor for Michael Fassbender), and Jane Eyre (Judi Dench and Tamzin Merchant co-star) with 1 nomination. 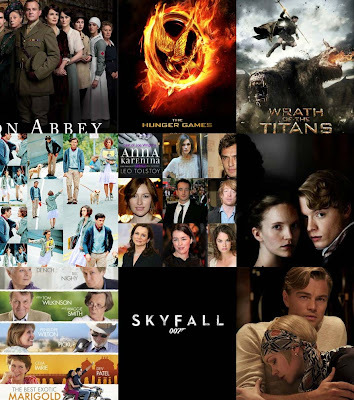 The 2012 Orange British Academy Film Awards will be announced and handed out February 12th! 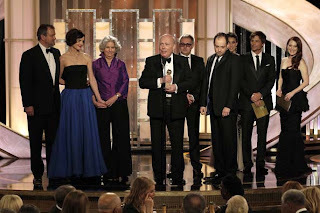 Downton Abbey wins Best Mini-Series Award at 2012 Golden Globe Awards! The 69th Annual Golden Globe Awards is on tonight (which just ended about 17 min. ago, actually...and on time too!) on NBC! Downton Abbey scored 4Golden Globe Awards Nominations! At the same time at around 9 PM ET, on a different channel (over an hour ago), Downton Abbey's (Penelope Wiltonco-stars) Season 2, Episode 2 just aired on PBS Masterpiece Classic. 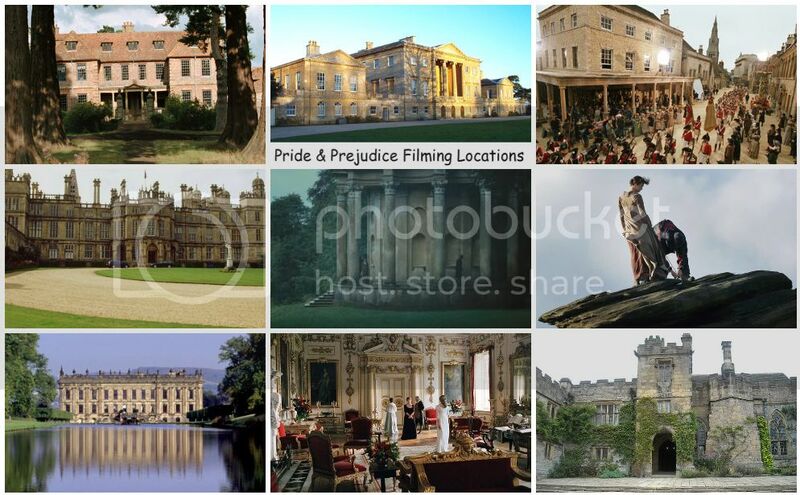 Congratulations to Downton Abbey cast and crew! 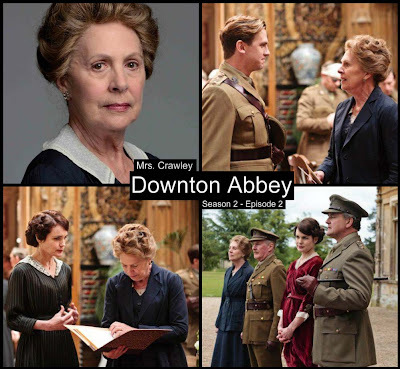 On TV Tonight: Watch episode 2 of Downton Abbey on PBS Masterpiece Classic! Tonight, watch episode 2 of Season 2 from 5-time Emmy Award winner and 4-time Golden Globe nomineeDownton Abbey (Penelope Wiltonco-stars) on PBS Masterpiece Classic. Also, the 69th Annual Golden Globe Awards is on tonight (starting at 8 PM) on NBC! Downton Abbey scored 4Golden Globe Awards Nominations! Best of luck to DA cast & crew! As a convalescent home for wounded officers, Downton Abbey offers respite from the front. But Cora and Isobel, locked in a power struggle over running the home, wage domestic war, and Thomas in his new rank as acting-Sergeant is not one to broker peace... Read full Synopsis. According to Movie Hole, Jena Malone will star in a new film titled, Mu, which is currently in development. Jena Malone (“Donnie Darko”) will star in Noah Buschel’s bio on Maura O’Halloran, who at the age of 24 left her waitress job in Boston to go to Japan and be a Zen Monk. She died in a car accident age 27. Read more about Maura O'Halloran here. 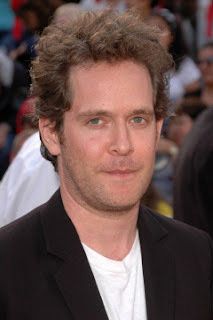 According to Collider, Tom Hollander (Hanna), Jonny Lee Miller (Dexter), and Sam Riley (Control) have joined Saoirse Ronan (Hanna) and Gemma Arterton (Prince of Persia) in Neil Jordan (Interview with the Vampire)‘s vampire movie Byzantium. Keira Knightley appeared on ABC's The View this past Tuesday (Jan. 10th) morning to promote her latest film, A Dangerous Method (and had been doing some media interviews currently as well...see/read a few of them below) as its UStheatrical release expands throughout this month in more theaters. A Dangerous Method is currently playing in select theaters here in the US and opens nationwideJanuary 22nd. In the UK Cinemas, it opens Feb. 10th! Watch Keira's The View appearance and interview here! 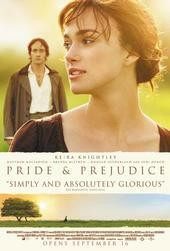 The View 1/10 36:54 | Aired on ABC 01/10/12 Actress Keira Knightley; a gluten-free recipe. 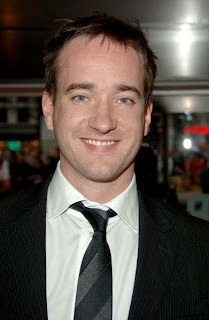 Matthew Macfadyenhas been cast in the lead role for just announced BBC One drama Ripper Street, set in the time of Jack the Ripper. Ripper Street, a new drama commission for BBC OneTiger Aspect Productions and co-producer Lookout Point have been commissioned by Danny Cohen, Controller BBC One and Ben Stephenson, Controller Drama Commissioning, to make 8-part drama series, Ripper Street for BBC One. Created by writer Richard Warlow (Mistresses, Waking The Dead), Ripper Street is an extraordinary new drama set in the East End of London in 1889, during the aftermath of the "Ripper" murders. The action centres around the notorious H Division – the police precinct from hell – which is charged with keeping order in the chaotic streets of Whitechapel. Good friends and Pride & Prejudice/Never Let Me Go co-stars Keira Knightley and Carey Mulligan both attended along with their co-star Michael Fassbender (A Dangerous Method with Keira and Shame with Carey) the 2011 National Board of Review Awards gala at Cipriani 42nd Street yesterday, January 10, 2012 in New York City. DVD and Blu-ray Release dates for Drive, The Big Year, London Boulevard, J.Edgar, Johnny English Reborn, and The Three Musketeers 3D! 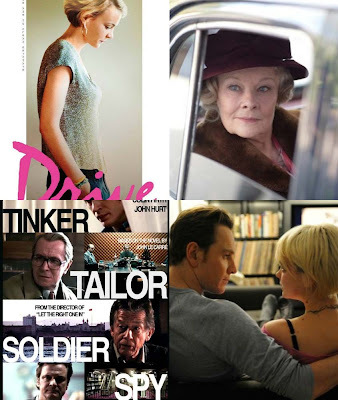 The US DVD and Blu-ray release dates for all the following recently released (in theaters) films starring P&P (2005) Actors such as Carey Mulligan (Drive), Rosamund Pike (The Big Year and Johnny English Reborn), Keira Knightley (London Boulevard), Judi Dench (J. Edgar), and Matthew Macfadyen (The Three Musketeers 3D) have all been announced recently with release dates starting at the end of this month through March. I thought instead of posting all of them separately, I'll just post all of them here all in one post (as all the DVD and Blu-ray info all came from the same source: DVD Active)...might as well. Tonight, the much anticipated Season 2 of 5-time Emmy Award winner and 5-time Golden Globe nomineeDownton Abbey (Penelope Wiltonco-stars) premieres with episode 1 on PBS Masterpiece Classic. In the throes of the Great War, uncertainty and worry have taken up residence in the great house of Downton Abbey. Some newcomers arrive, met with varying degrees of welcome; some young men are absent, desperately clinging to survival in the trenches of France; and some men remain at Downton, their discontent festering. Read full Synopsis. A new official poster of THE BEST EXOTIC MARIGOLD HOTEL starring Judi DenchandPenelope Wiltonhas been released by Fox Searchlight and had debuted live onIMDB! The movie's release date has also changed and had been pushed back from March 9th to May 4th. There was also a teaser poster previously released, which you can see here, to your left on this post, or below along with the official poster and alternate promo teaser poster. 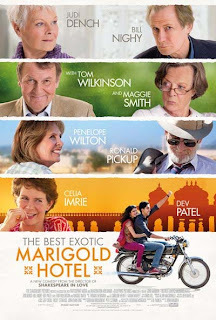 The Best Exotic Marigold Hotel in US Theaters May 4th! Just found out that BVLGARI (Bulgari), the magnificent Italian Jeweler since 1884 had recently launched (with a video ad campaign that aired last October 2011) and also announced Rosamund Pike as the new face of its new Secret de Gemmes skincare line. 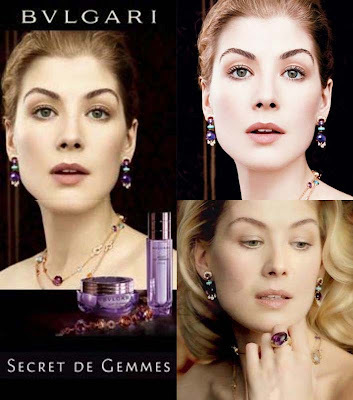 In this newest role for Secret de Gemmes, Rosamund Pike incarnates an enticingly enigmatic woman – a sensuously luminous Renaissance beauty sequestered amongst her most treasured things. In this hidden jewel-box boudoir, she is surrounded by rare gems, exquisite flowers, opulent fabrics, and her most precious secret of all: Secret de Gemmes. Against dark, sumptuous velvet, Secret de Gemmes glows mysteriously like a radiant gemstone. Like the flawless alabaster of her white skin, the bottle's mirror-like cap and the violet hologram band encircling the packaging illuminate the luxurious twilight interior. The Mystery of Edwin Drood starring Matthew Rhys (The Edge of Love), Freddie Fox (The Three Musketeers 3D, Any Human Heart), Tamzin Merchant(P&P 2005's own Georgiana Darcy, Jane Eyre), Rory Kinnear (Women In Love), and Julia McKenzie (ITV's Miss Marple) premieres as a two-part period drama adapted from the novel by Charles Dickens in the UK's BBC Two (for those lucky UK fans) next Tuesday January 10th and Wednesday January 11th, whereas here in the US, it premieres 3 months later on April 15th on PBS Masterpiece Classic. Unfortunately, no Youtube preview trailer available yet, but If you live in the UK, you can see the previewclips for Episode 1, filming in Rochester, and Matthew Rhys "Becoming Jasper." Also, you can check out Episodes guide and Characters (where you discover more about the characters in Charles Dickens' famous unfinished story, The Mystery of Edwin Drood) including Tamzin Merchant's character Rosa Bud on BBC Two. It's the New Year! You know what that means, right? 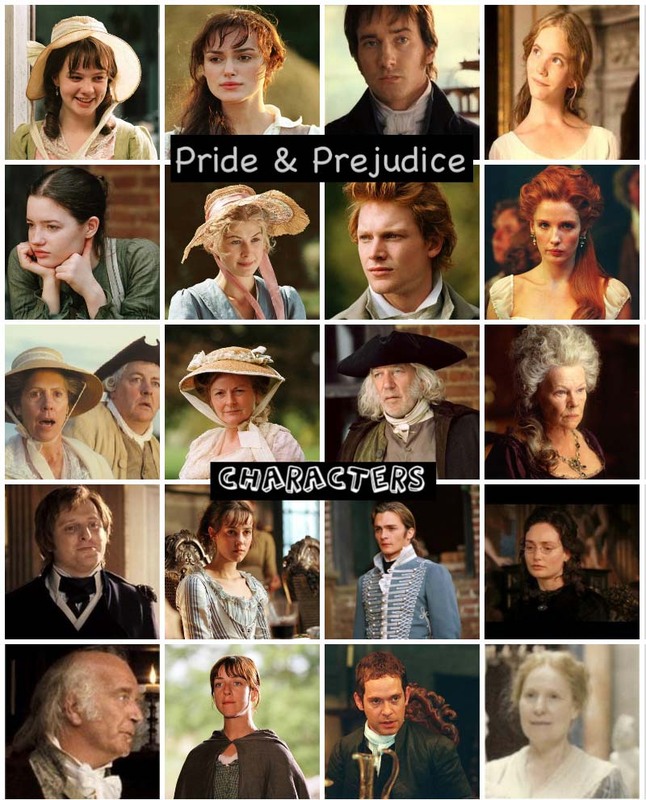 New movies to look forward to from our P&P actors! Here are a list of some P&P '05 alumni with a new movie starting this Winter/Spring through Summer/Fall (from January to December) of 2012. 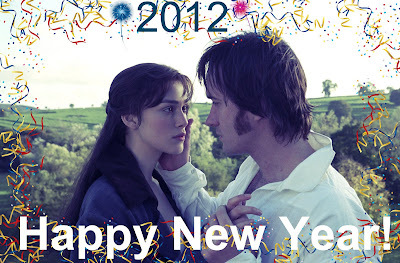 2011 has been an AMAZING year for this P&P '05 Blog and it's all because of YOU. Thank YOU all so much for visiting, reading, and commenting here and for making this year, an awesome year! With ChristyandAshley's help and their contribution to this blog with their own posts, Book Reviews (Ashley), and Author Interviews (Christy), which I greatly appreciated (thanks ladies! 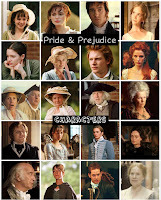 ), I had an absolute great time posting, updating, and keeping this Blog and P&P movie alive all year. Hope to continue and keep going this year (2012) and beyond...well, hopefully for many more years to come (or for as long as I can). and amazing New Year 2012!! !